This entry was posted in Maria B on March 25, 2015 by admin. 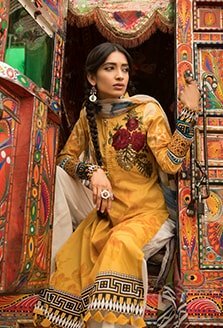 The Pakistani fashion and beauty blogger published a post on her top picks from the MARIA.B. 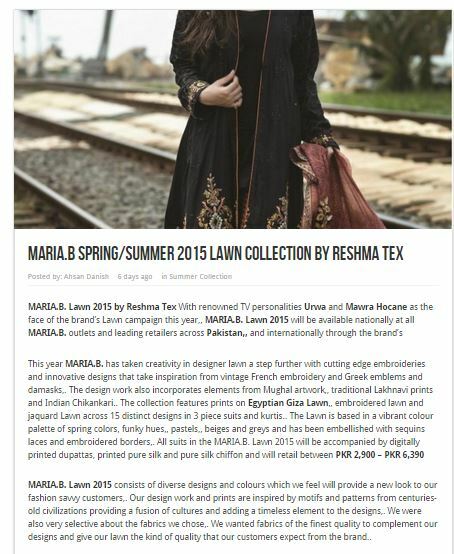 Lawn 2015 collection. This entry was posted in Maria B on March 24, 2015 by admin. 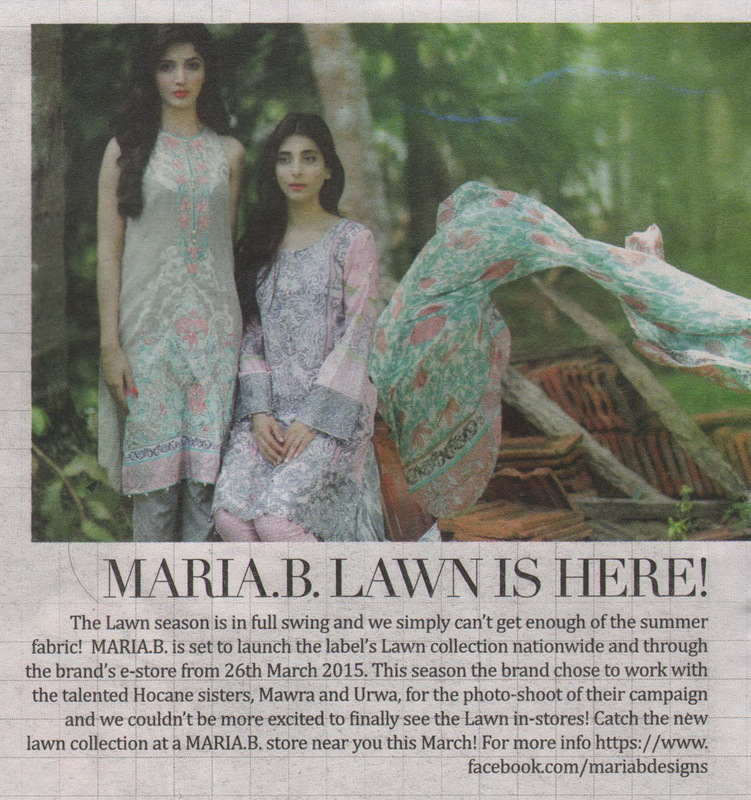 The Pakistani fashion, entertainment and lifestyle e-magazine published the official press release announcing MARIA.B. Lawn 2015. This entry was posted in Maria B on March 22, 2015 by admin. This entry was posted in Maria B on March 18, 2015 by admin. 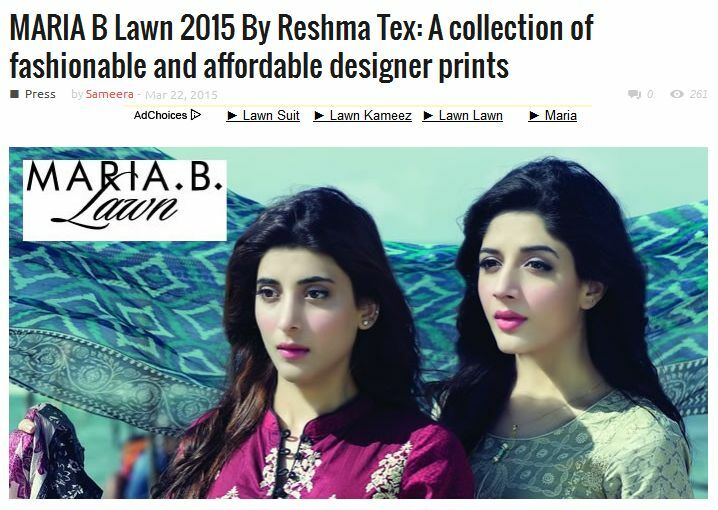 The leading Pakistani branding, advertising and marketing portal published a post on different Lawn collections in which MARIA.B. 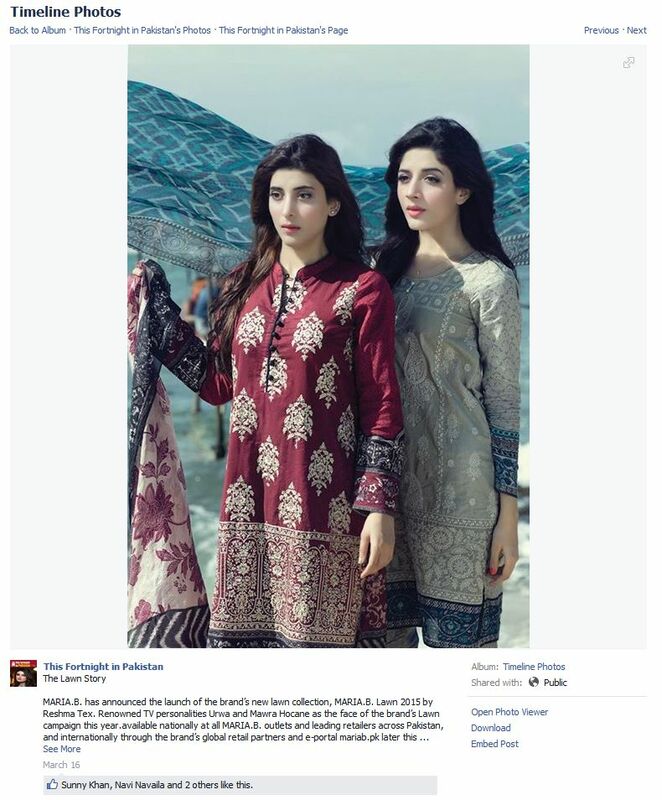 Lawn 2015 was mentioned. This entry was posted in Maria B on March 17, 2015 by admin. The Facebook page of the leading English language bi-weekly fashion, entertainment and lifestyle magazine published B TS content from the photo-shoot of MARIA.B. Lawn 2015. 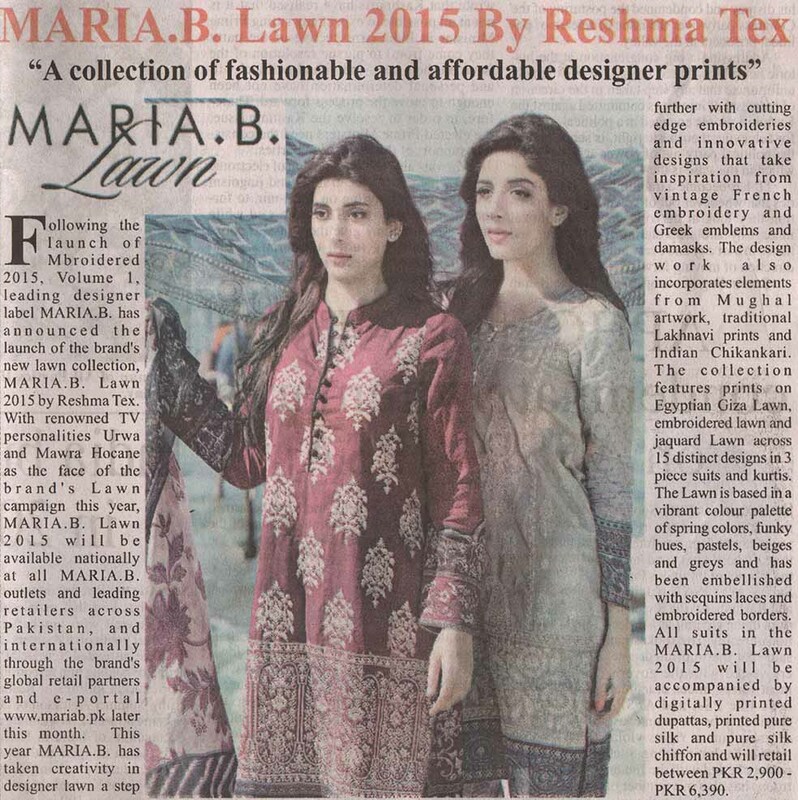 The Pakistani fashion, entertainment and lifestyle blog published the official press release announcing MARIA.B. Lawn 2015. This entry was posted in Maria B on March 16, 2015 by admin. This entry was posted in Maria B on March 15, 2015 by admin. 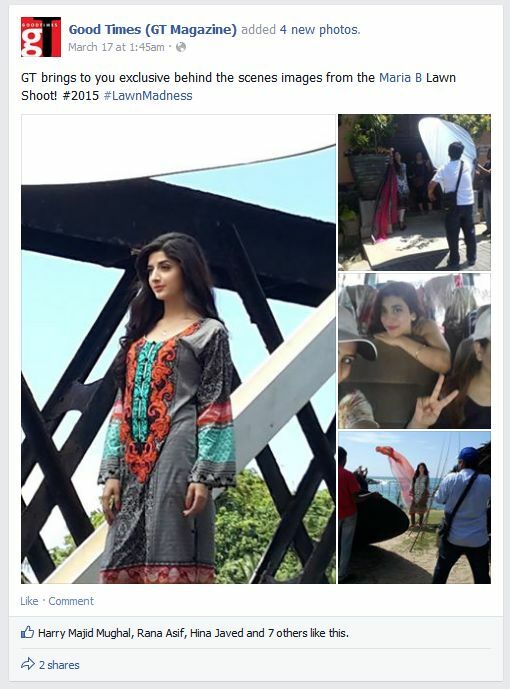 The Sunday magazine of the leading English language broadsheet feature TV personalities Mawra and Urwa Hocane in their Celebrity Tweets section. 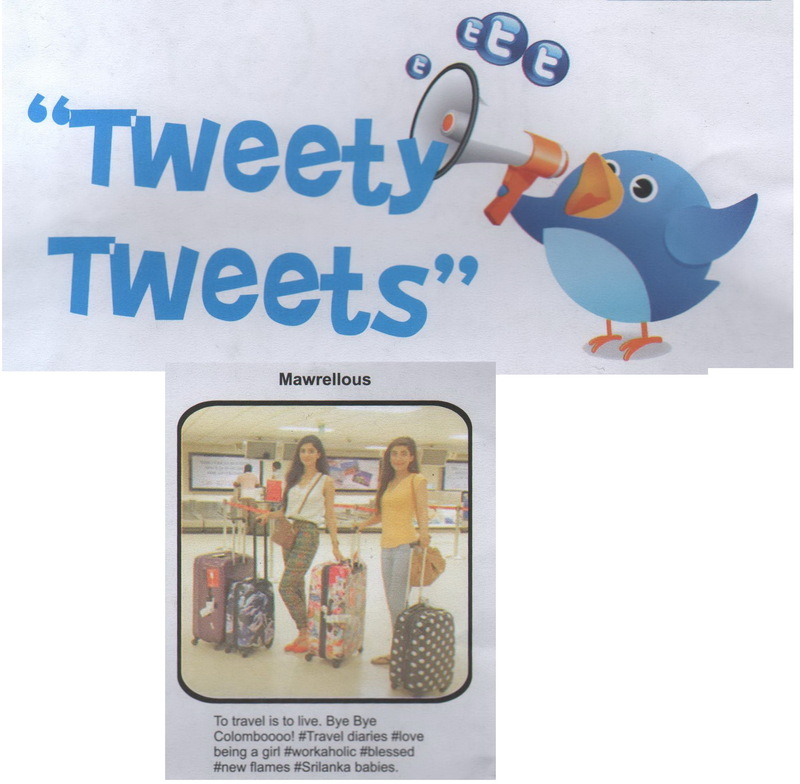 The leading English language broadsheet published the official press release announcing the launch of the MARIA.B. 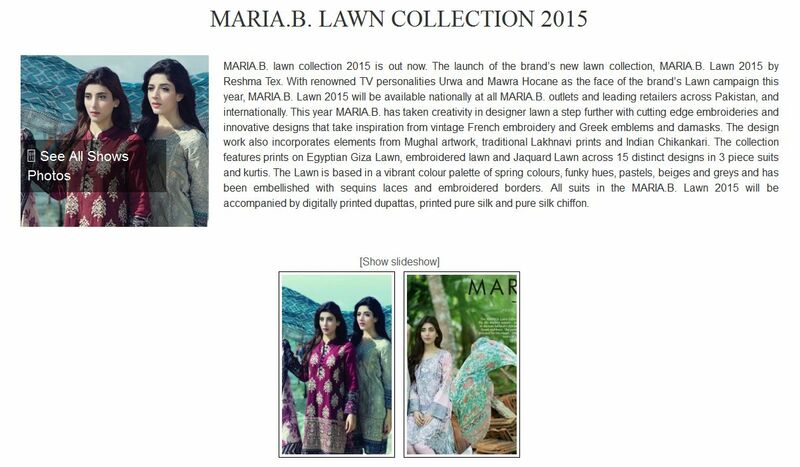 Lawn 2015 collection.